A decade ago, Zambia’s textile and clothing industry had all but withered into the dust as privatization sapped the vigor of the industry and reduced the Zambian public to consuming cheap Chinese goods. However, the last few years have seen a resurgence in the fashion industry with more young designers bursting on the scene. The annual Zambia Fashion Week offers a platform for local emerging and established designers to showcase their designs to potential clients and buyers. There’s also a Zambia Fashion Council, founded in 2014, whose mission is to develop a thriving and profitable fashion industry in Zambia. With Zambian designers being invited to showcase their collections at fashion weeks around the world and bloggers increasingly working with major brands, the Zambian fashion scene is set to take off. 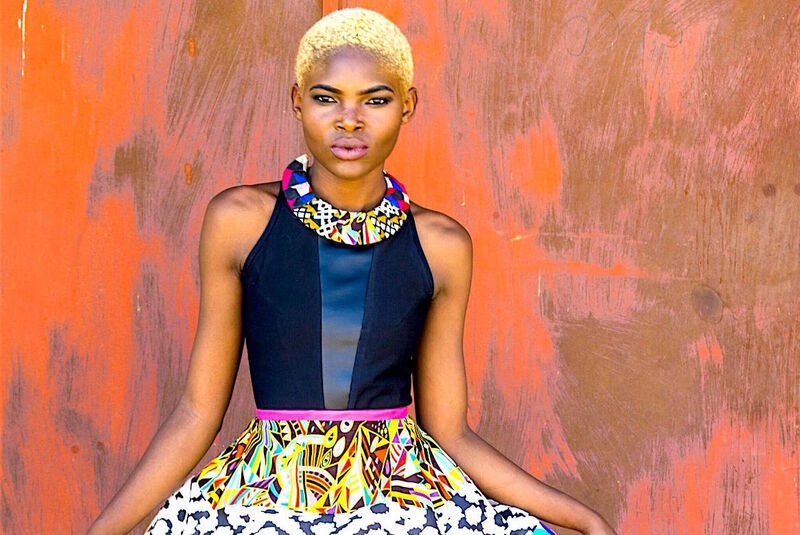 Here, we take a look at five labels and designers that are shaking up the Zambian fashion industry. A graduate of the Fashion Institute of Design and Merchandising (FIDM) in Los Angeles, Zambian designer Kapasa Musonda established her Mangishi brand in 2012. She’s since gone on to showcase collections in L.A, Palm Springs, Atlanta, Adelaide and Lusaka. The ready-to-wear pieces in her Mangishi Doll line consist of unique prints and bold colors mixed in unusual yet rhythmic ways. The word mangishi is derived from the Nyanja language, referring to a piece of wire twisted into an artistic craft. On 24 October 1964, Zambia became independent of the United Kingdom and prime minister Kenneth Kaunda became the inaugural president. Kaunda’s socialist United National Independence Party (UNIP) maintained power from 1964 until 1991. Kaunda played a key role in regional diplomacy, cooperating closely with the United States in search of solutions to conflicts in Rhodesia (Zimbabwe), Angola, and Namibia. From 1972 to 1991 Zambia was a one-party state with the UNIP as the sole legal political party under the motto “One Zambia, One Nation”. Kaunda was succeeded by Frederick Chiluba of the social-democratic Movement for Multi-Party Democracy in 1991, beginning a period of social-economic growth and government decentralisation. Levy Mwanawasa, Chiluba’s chosen successor, presided over Zambia from January 2002 until his death in August 2008, and is credited with campaigns to reduce corruption and increase the standard of living. After Mwanawasa’s death, Rupiah Banda presided as Acting President before being elected President in 2008. Holding office for only three years, Banda stepped down after his defeat in the 2011 elections by Patriotic Front party leader Michael Sata. Sata died on 28 October 2014, the second Zambian president to die in office. Guy Scott served briefly as interim president until new elections were held on 20 January 2015, in which Edgar Lungu was elected as the sixth President. KOLUMN Magazine celebrates the lives of People of Color by giving our world texture.